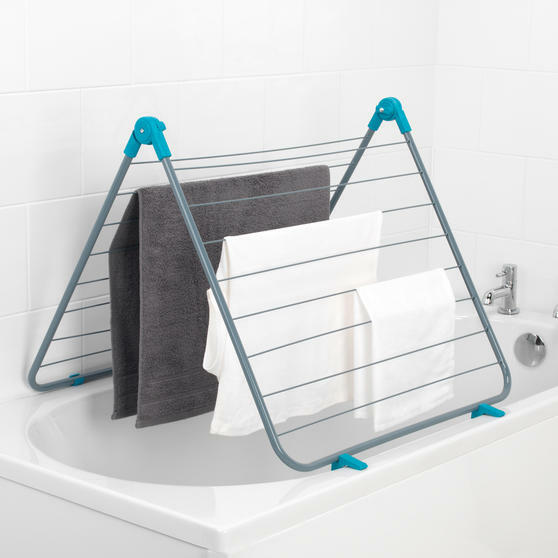 This Beldray over bath clothes dryer is a fantastic way to maximise space in your house, designed to sit securely over a bathtub, it prevents the need to clog up your living space with laundry. 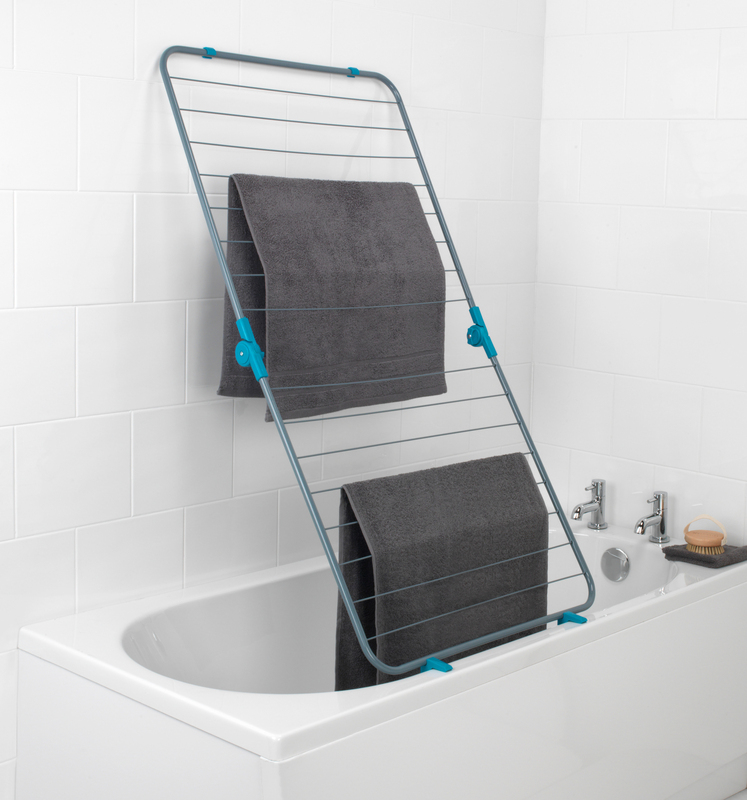 With a huge ten metres of drying space you can fit a load of fresh washing on, it is also a great place to keep your bathroom towels. The design is not only convenient though, it is robust too, holding up to 10 kg of washing at any one time. This airer is perfect the perfect space saving solution. Transform the space over your bath into a useful drying area and maximise your living space with this amazing Beldray clothes dryer. 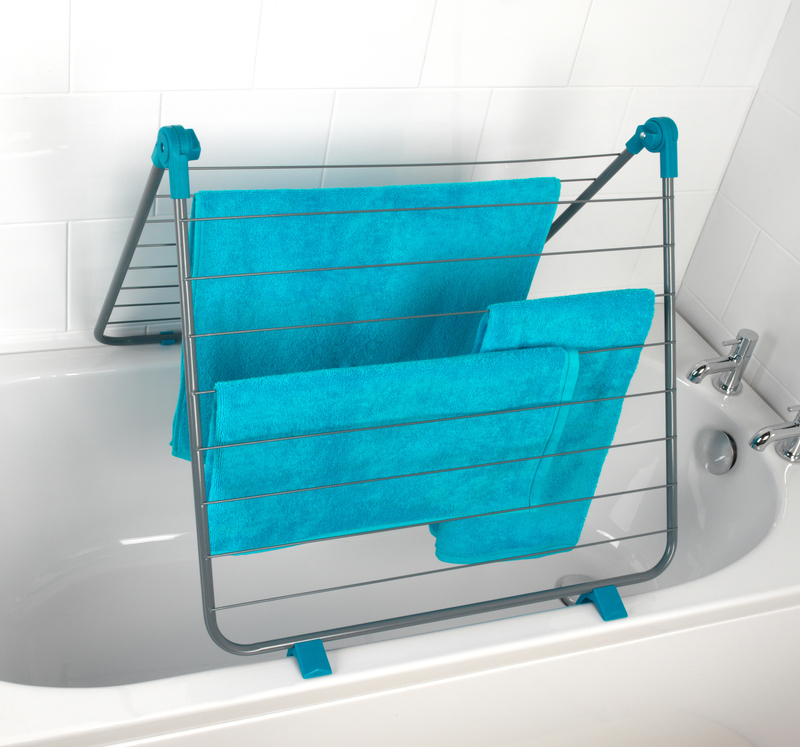 Above your bath is an ideal place to dry, water from your washed clothes drips conveniently into the bath rather than onto your floor. The inverted V design can be adjusted to suit the width of your bath and it can be opened out a full 180 degrees to suit your needs. 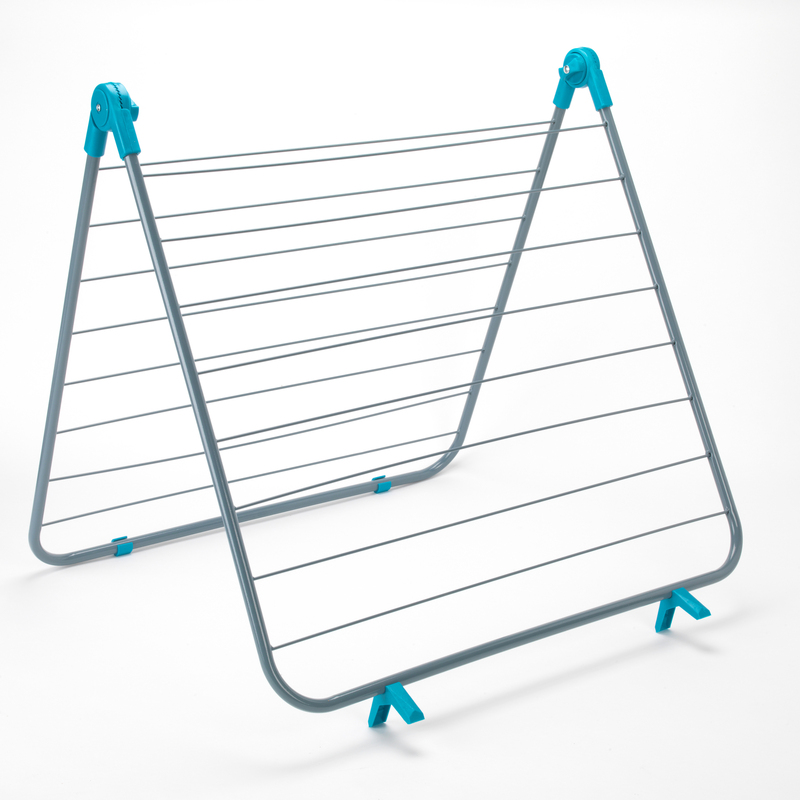 Brilliantly durable and robust, the airer will hold up to 10 kg of washing and has a fantastic 10 metres of drying space. Made from steel, this airer allows you to easily fold your clothes over its sixteen rails and it folds down for easy storage.